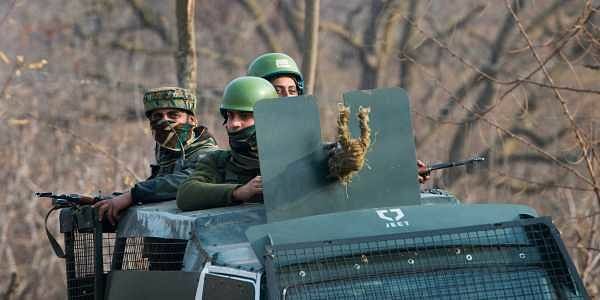 Two heavily armed militants stormed the 185th battalion camp of the Central Reserve Police Force in Awantipora in Pulwama around 2 am, killing 5 personnel and injuring 2 militants. NEW DELHI: The Congress today denounced the government over a terror attack on a CRPF camp in Pulwama district of Jammu and Kashmir, saying it was a sign of failure of Prime Minister Narendra Modi's foreign policy. Party spokesperson Sushmita Dev said here that such recurring attacks send a message that anti-national forces do not fear India. During elections, Modi says India is a strong nation. But the number of casualties in ceasefire violations was going up, Dev said at a press conference. "It is a sign of failure of Prime Minister Narendra Modi's foreign policy," she said, adding the Congress wanted him to take strong steps to deter India's external and internal enemies. The Congress, Dev said, will support him in steps he takes for safety and security of the country.